How can Mr. King help you, your business, or your government agency manage risks ? It is always the best policy to implement, monitor, and continually update policies and procedures to AVOID an accident, injury, death, lawsuit, budget overruns, or just plain old public embarrassment. Trial lawyers (or litigators as some call them) are well honed in the art of thinking about, anticipating, and resolving risks in the process of prosecuting a lawsuit. They think out the effect of each word, each action, and the import of each document they will present or examine, with the end result being a victory in the courtroom, or an advantageous settlement for their clients. Very good trial lawyers, after digesting the particular facts of a client's case, also are expert in offering advice to their client on how to avoid the same problem in the future. For very well experienced lawyers like Mr.King, this thought process is second nature. 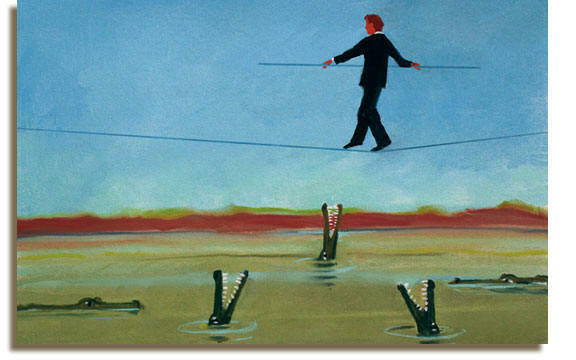 What is risk management ? Click here.